VO101 has partnered with Voices.com, offering a great discount on our talent and student subscriptions. 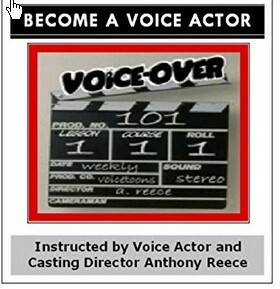 Voices.com is offering all our voice over talent in training, and new voice over students a $100 savings as a featured talent membership. INDUSTRY NEWS : Voices.com has completed a survey and research on our global voice over marketplace, and the results are in. Good news for voice talent – business is booming, in multiple languages and the average rate per job or voice over hour is increasing for voice talent. The voice casting service, is a Top Ranked voice casting websites worldwide. …and so much more bang for the buck! As a 21st century voice talent, it’s advantageous to utilize marketing and social media in various ways. VO101 suggests Voices.com along with traditional marketing, and a variety of additional casting models. Did you know Voices.com is now the owner/operator of the world famous VoiceBank? Now that is reach for you as a voice talent. Join Voices.com and Save $100 Now!